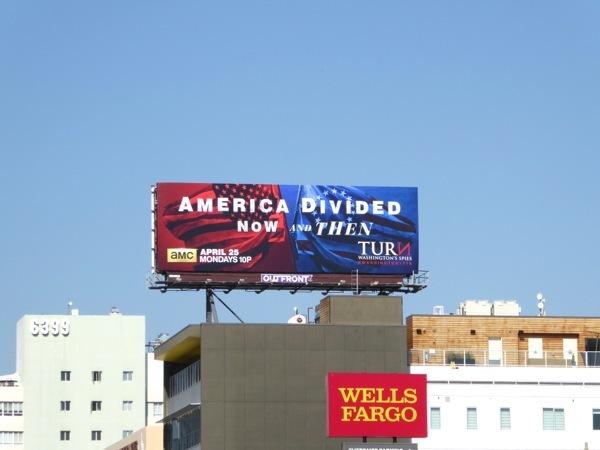 Daily Billboard always enjoys when ad campaigns are topical and reflect the mood of the country and society, taking a snapshot of a moment in history which we'll be able to look back on and say "remember when". 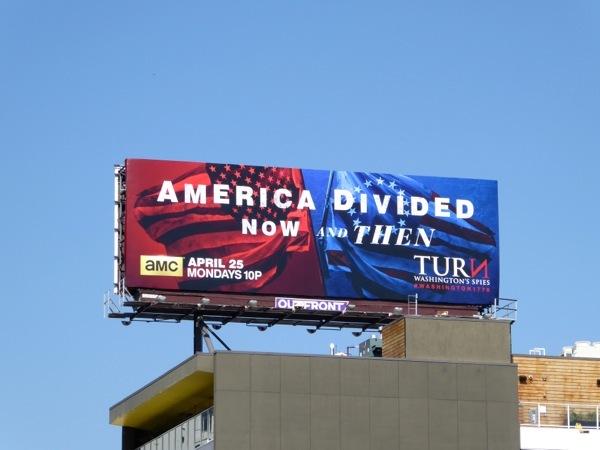 This bold 'America Divided Now and Then' ad creative for the third season of AMC's historical drama, Turn: Washington's Spies, is just such an example of tapping into the state of the nation, with the current U.S. Presidential primaries stoking the flames of discord and rousing the ugly underbelly of politics and this supposed United States. Jamie Bell returns as 'Abraham Woodhull', part of the New York rebels, the Culper spy ring, that helped feed Washington important intel from behind enemy lines during America's Revolutionary War. Get ready for more rebellion, subterfuge and political scheming. 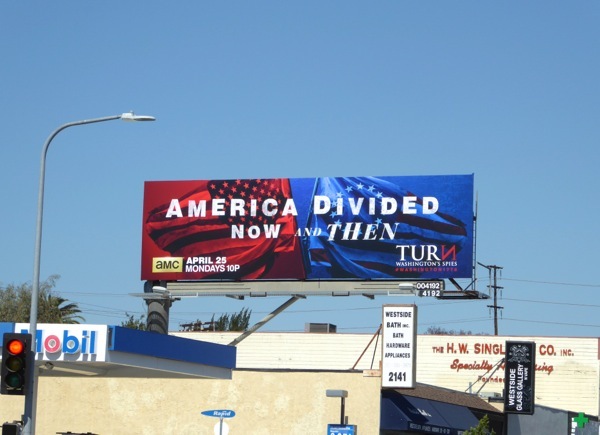 Wait, are we talking about then or now. 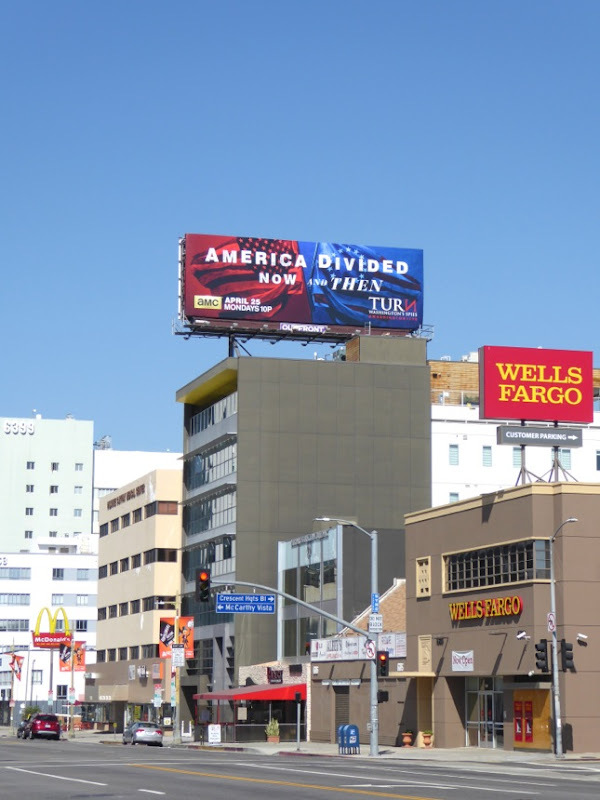 These timely and arresting season three billboards were first snapped at the intersection of Olympic and Westwood Boulevards on March 31, then later high above Wilshire Boulevard on April 2, 2016. 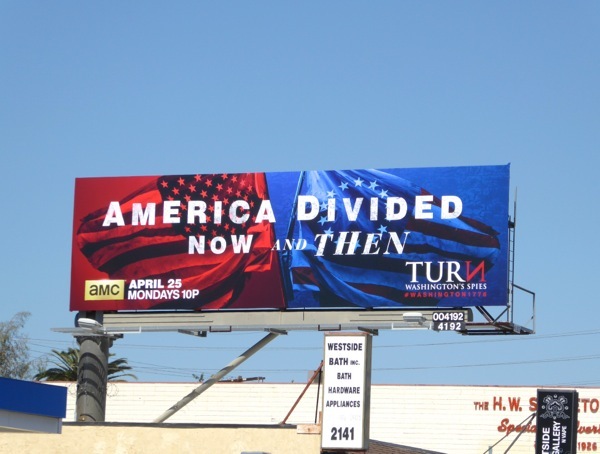 If you're a fan of the series, make sure you also check out these Turn season one and season two billboards. 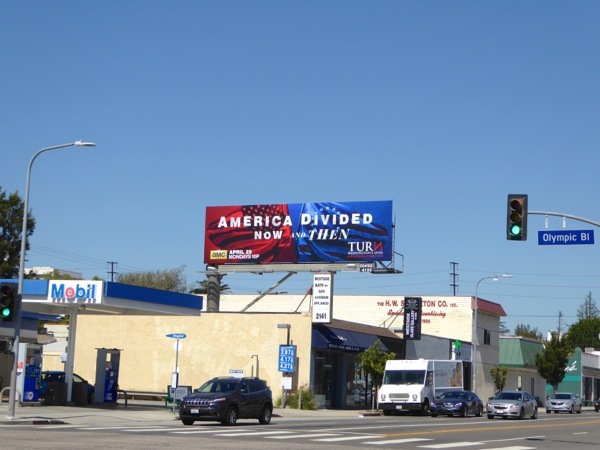 What divides America these days, is it still race, religion, politics, the gap between rich and poor, or is it simply ugly men saying ugly words?